This is the high expectation we as a country expect of our First Citizen. 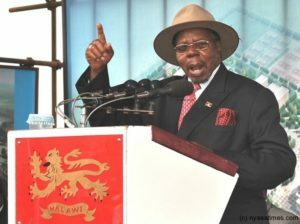 In its 53 years of self-rule, independence, and republican status, we’ve have five presidents: Dr. Hastings Kamuzu Banda (who ruled Malawi for 31 years), Dr. Bakili Muluzi (first president in democratic Malawi – ruled for 10 years), Professor Bingu wa Mutharika (ruled for 8 years), Dr. Joyce Banda (ruled 2 years) and Dr. Peter Mutharika (took the helm of leadership in 2014). 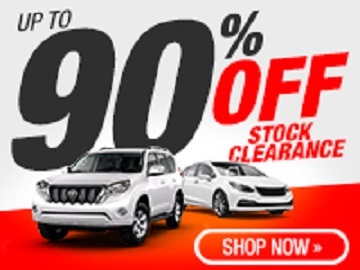 While Bingu WA Mutharika died suddenly while in office, three of the five presidents have been incarcerated through political expediency rather than as a result of the rule of law. 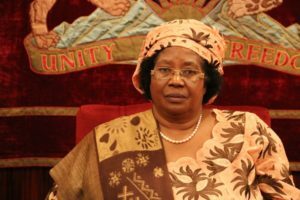 This week Malawians woke up to a rude awakening when news reports blasted headlines that the Malawi Government through the Police Service, on Monday July 31, 2017, issued a warrant of arrest for former President Dr. Joyce Hilda Banda. The reports said Police public relations officer, Senior Superintendent James Kadadzera informed “eager to know anything and everything about cashgate saga” public that the Fraud and Fiscal section of the Police Service had finalized its preliminary investigations on the suspected involvement of the former President, Malawi’s first woman President, in the cashgate cases. The picture played right into the regular Malawi narrative. Of Kamuzu jailers, the president did not want to have father and founder of the nation behind bars, but “overwhelming evidence…..blah blah blah (Chichewa: yekete, yekete). Although the case against Kamuzu and others was thrown out of the High Court and Supreme Court, dragging the President, formerly dubbed the lion of Malawi and other terms of endearment, inflicted a scar in the hearts and minds of Malawians; and we have grown to embellish having the high and mighty occupants of the Presidency reduced, humbled, and humiliated by being thrown into bars where the Barabbas of this world spend their correction years. 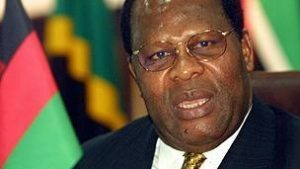 So, when Bakili Muluzi dared to become former president, he too had his legacy gored with frequent in and out of prison cells by the same officials who previously trembled and called him “Mr. President, Excellency, Sir, Bwana….” His running battles with the law started with Bingu; but they have never been resolved. His son is in Government, so there is a pause to our ill-thoughts and desires of having him thrown behind bars for the various charges that the fiscal and fraud section deemed he is suspected of being reasonably yekete, yekete. As for Mutharika II, he tasted the cooler when he was charged with contravening the tenets of the Constitution following the sudden death of his brother Mutharika I. as he campaigned for the presidency (which he won), he had the looming charges of obstructing/contravening yekete, yekete. He is now in the Kamuzu Palace and for sure no Police official can touch him. He’s their boss. But they can touch and mess with former President Joyce Banda. Ironically over the weekend, President Mutharika was reported as stating that he would not imprison the former president; she should not fear being charged or thrown into prison yekete, yekete. Maybe el-presidente spoke too soon before the fiscal gentlemen finalized their investigations. 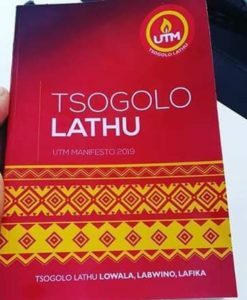 But dare we say, some of the conclusions could be tainted with such embellishments as usually is the case when a case drags: people forget, people remember more than took place, people have axes to grind. If the former president comes back and is taken to court, some of the witnesses are persons that are serving lengthy prison terms for the same cashgate. It does not take a rocket science education to figure out that the prison-based witnesses have nothing to lose to perjure themselves. They can load on all and sundry, throw JB the kitchen sink, run her over with the bus and push her down the cliff. This is not to tarnish their images, but even with the Kamuzu Mwanza murder case, persons that were implicated in it became state witnesses. They stunned Kamuzu Banda’s lawyer Clive Stanbrook, with the add-ons they brought to court from the Government side. With the warrant for former president Joyce Banda, another presidential legacy will be gored into nothingness. The soup thickened with the release of the 21 June 2017 letter to the former head of state from the Office of the President and Cabinet. In it Chief Secretary Muhara issued a stern reminder to her to remember her oath to secrecy and that she must not divulge any state secrets that she was privileged to know while serving as president. I love this letter. It is a powerful wonderful, intelligent letter. The letter speaks to the responsibility, heavy burden that our heads of state carry on their shoulders. On top of defending a document that guarantees the freedoms, rights of almost 20 million people – in and out of Malawi, the institution of the presidency also carries the burden of knowing secrets they can never tell anyone. This is a heavy burden. If such is the case, as we call on Muluzi, Banda and Mutharika to honor their oaths and hold fast to the information they are entrusted with, it is not a small thing for Parliament to pass a protective law on the persons that serve us in this capacity. By protecting these persons from even the persons who assume the Office of the Presidency. Let us save our presidents from politically-motivated warrants of arrests. We call on MPs at the next sessions to draft, introduce and pass the law protecting presidents; we are tired of Government officials humiliating our former presidents and even the vice presidents. Please create the MIP to honor our presidents and vice presidents. Please respect former president Dr. Bakili Muluzi! Please respect former president Dr. Joyce Banda! 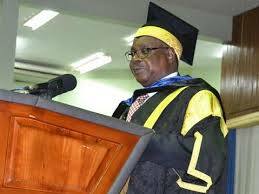 Please respect President Professor Peter Mutharika! These constitute the Malawi Institution of the Presidency (MIP).